Scotty "Scooter" Pruett will return to DayToner' this weekend to serve as the 2019 Rolex 24's Grand Marshall, presiding over the Kickoff of IMSA's 50th Season Anniversary. 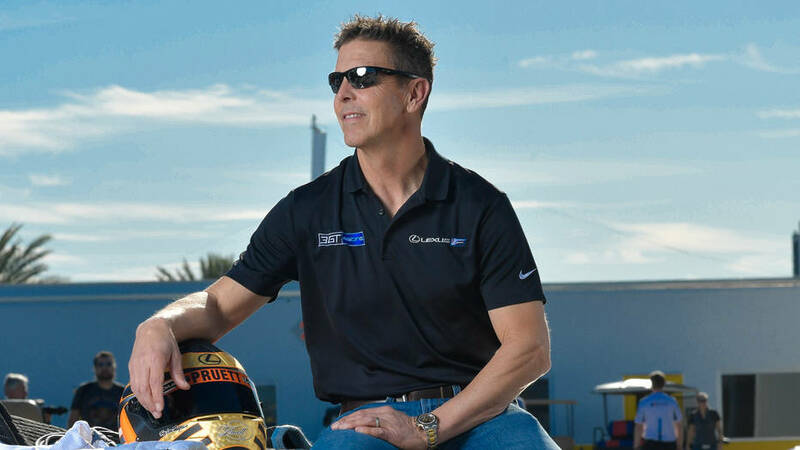 Although I was a Huge Fan 'O Pruett's before he became legendous' in Sports Car racing, when he was an aspiring IndyCar Driver, beginning with the always slightly behind Truesports Team, and never truly landed a Top-flight ride, albeit notching two IndyCar Ws' for the rejuvenated Patrick Racing. Which he spent 1994 tire testing for Firestone, before their return to Open Wheel Racing in '95, when Pruett scored his maiden IndyCar victory in the Michigan 500. Nonetheless, Scott cemented his place in thou History Books by tying Hurley Haywood for most Overall Rolex 24 victories. As both men have five winners Rolex 24 wristwatches apiece. And I'll point Y'all towards a 'lil No Fenders Ditty I Scribbled two years ago, which is now somewhat dated, since Thars' three Drivers in this year's 24 Hours of Daytona in contention to join the very select group of Four-times Rolex 24 Overall winners. As Defending race winner Action Express Racing's "Mustang Sally;" Whoa, Uhm Sampling Cadillac VR DPi No. 5's João Barbosa and Christian Fittipaldi have a legitimate shot at Thar fourth Rolex. Whilst good 'Ol Monty', nee Juan Pablo Montoya in Team Penske's #6 Acura also currently owns three Rolex's. As Fittipaldi will mimic Pruett by retiring after this year's 24 Hours of Daytona race, which Scott did a year ago, while Christian's team-mate returns from multiple injuries. But how can I pass up my Oh, So Clever connotation of Terrors 'N Night Sweats regarding 'Ol SuperTex hondin' thou field in one of those Darn Blasted Porsche 962 Panzerwagons; Ja Volt!